Stop a Curse in Its Tracks! Allow Good Luck To Take Hold! 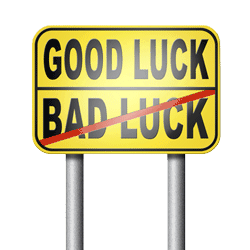 Are you experiencing a run of bad luck? And you don’t know how to stop it? Someone may have put a curse or a hex on you, and it needs to be broken. Or you may have a negative aura hovering over you, and it needs to be penetrated and dissolved. Or perhaps you may be surrounded by someone who does not have your best interests at heart and this person needs to be neutralized. You are at your wit’s end because too many bad things are happening to you, and you feel it’s time to resort to extraordinary measures to stop it right now! You believe there are forces that we can neither see nor comprehend that are seriously and negatively affecting your life, and you want to reshape them – turning your bad luck into good luck! You know you can’t do it yourself, and you desperately need someone with immense psychic skills to work in your behalf. If the above sounds familiar and you are ready to take action to change your life for the better, world renowned psychic Jean Claude Swann awaits word from you to act in your behalf. If you want to turn your bad luck to good luck, you have come to the right place!